The comments come a day after the attorney general told Congress that special counsel Robert Mueller found no evidence Trump or his associates conspired with Russia to influence the 2016 election. Attorney General William Barr has told Congress that Mueller found no evidence Trump or his associates conspired with Russia to influence the 2016 presidential election. Mueller did not make a determination on whether Trump obstructed justice. Trump was asked about Mueller’s report as he spoke to reporters along with Israeli Prime Minister Benjamin Netanyahu (neh-ten-YAH’-hoo). Special Counsel Robert Mueller’s team told the attorney general about three weeks ago it would not be reaching a conclusion about whether President Donald Trump obstructed justice. That’s according to a Justice Department official who spoke to The Associated Press on Monday on the condition of anonymity to discuss private conversations. In releasing a summary of Mueller’s findings on Sunday, Barr said Mueller had drawn no conclusion about whether Trump obstructed justice. Instead, his report laid out the evidence on both sides of the question. Barr told Congress that he and Rosenstein decided there wasn’t enough evidence to prove Trump had committed that crime. 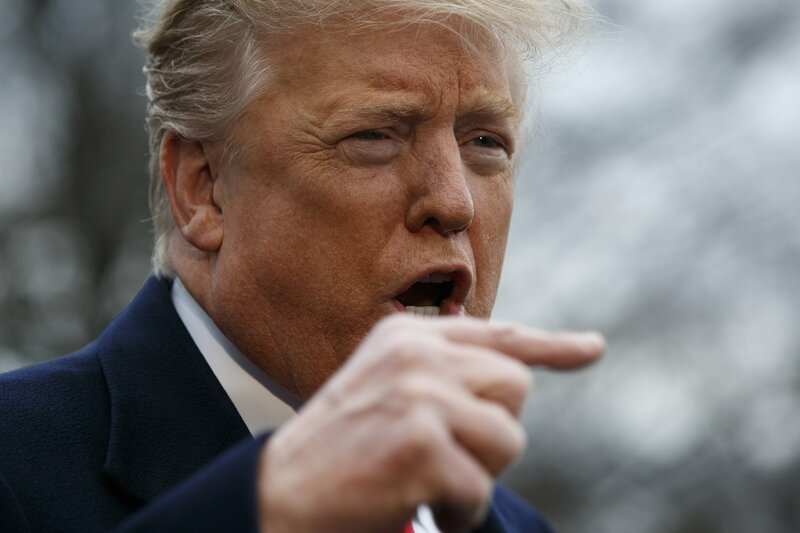 A close ally says President Donald Trump felt a sense of relief after learning special counsel Robert Mueller’s report had cleared him of conspiring with the Russian government. South Carolina Republican Sen. Lindsey Graham flew home from Florida with Trump after spending the weekend awaiting Mueller’s findings. On Sunday, Attorney General William Barr told Congress Mueller did not find evidence that Trump’s campaign “conspired or coordinated” with Russia during the 2016 election. Graham says that on the flight home Trump conveyed a “sense of relief” that there was now the “legitimacy” of his presidency where there had been questions before. Trump has declared the findings a total vindication, but Mueller reached no conclusion on whether the president obstructed justice. Barr says Mueller’s report presents “evidence on both sides” of that question. Sen. Lindsey Graham says President Donald Trump came out of the Russia investigation stronger. But he is warning Trump not to pardon any associates convicted during special counsel Robert Mueller’s investigation. He’s referring to figures such as Paul Manafort, Trump’s former campaign chairman. Manafort has been convicted in Washington and Virginia of crimes related to years of Ukrainian political consulting work. Mueller’s report, turned over to Friday to Attorney General William Barr, did not find evidence that Trump’s campaign “conspired or coordinated” with Russia to influence the 2016 presidential election. Mueller reached no conclusion on whether Trump obstructed justice. The Republican chairman of the Senate Judiciary Committee says his panel will “unpack the other side of the story” of special counsel Robert Mueller’s probe into President Donald Trump and his campaign. Sen. Lindsey Graham, who spent the weekend with Trump in Florida, said his committee will investigate the actions of the Justice Department in the Russia investigation, including the FBI’s use of a dossier compiled by British spy Christopher Steele. Graham spoke Monday after Attorney General William Barr reported to Congress on Mueller’s findings. Barr said Mueller found no evidence that Trump or his associates conspired with Russia. Mueller did not make a determination on whether Trump obstructed justice. Graham said he will be speaking with Barr at noon and wants him to testify before his committee. #Spygate and the Obama Insurance policy is the biggest scandal in US History.. Military Tribunals are the only way to restore faith in the FBI/DOJ et al. Now that the Russian Hoax has ended I hope POTUS turns full BRUTAL MODE and put these people behind bars..TREASON & SEDITION has been on full display for to long…..